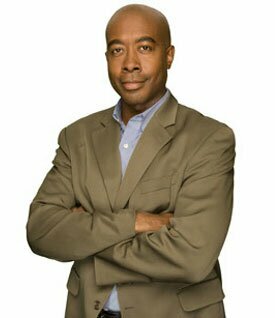 Nathan Downer is an anchor and reporter with television channel CP24 in Toronto. With a depth of experience in radio and television broadcasting, he anchors “Live at 5:30.” With a special expertise in municipal politics, Mr. Downer often covers Toronto’s City Hall and election beats for the channel. He sees his career as a broadcaster as a tool to educate, enlighten and entertain. Prior to joining the CP24 team, Mr. Downer worked as a reporter for Global TV. His work earned him three Radio-Television News Directors Association Awards, including a national prize for a feature story. Mr. Downer started his career in television in 2005 as a sideline reporter covering university football and basketball. He made guest appearances on other programs, such as TSN,s “Off the Record.” From 2009 to 2011, he was the in-stadium announcer for the Toronto Argonauts. In addition to his work in television, Mr. Downer is an educator, teaching journalism at Centennial College. He also hosts many special community events and is a member of the Canadian Association of Black Journalists. Mr. Downer is also involved in charity work, including Camp Jumoke, which helps children with sickle cell anemia. He is also on the advisory board for the Sickle Cell Awareness Group, Ontario. Mr. Downer studied at the University of Toronto and George Brown College. He lives in Toronto with his family.